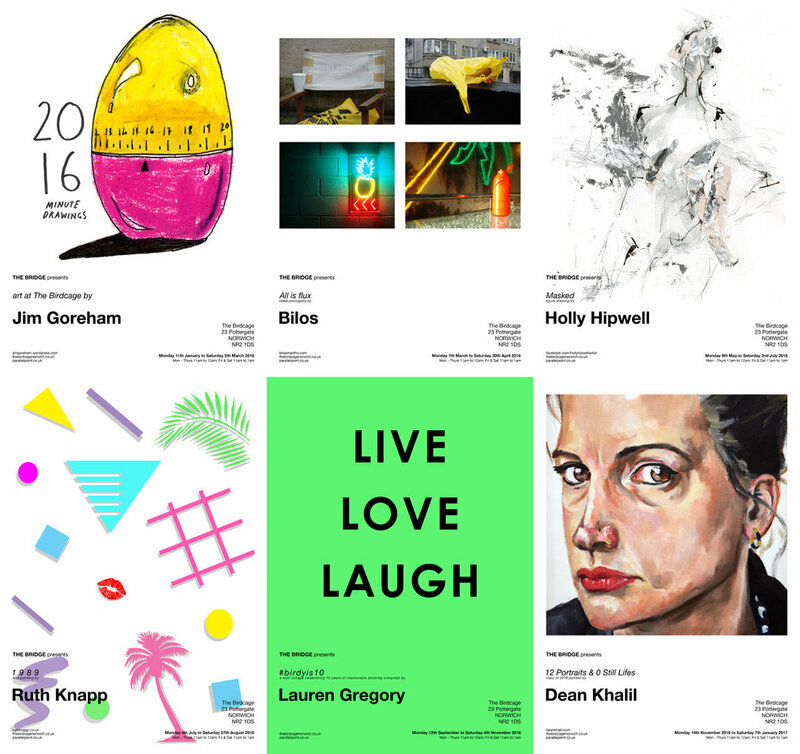 A round-up of the exhibition programme for The Bridge at The Birdcage in 2016. This year we changed the format to bi-monthly shows which will continue into 2017, aiming to keep the exhibitions in this unique little space varied and interesting. In 2017, Parallel Point (Alice Lee) will be sharing curatorial duties of The Bridge with Lauren Gregory and Paul Bryan in order for Alice to concentrate on her other practices. It will continue to be a place showcasing the finest in local and national, art and design talent.